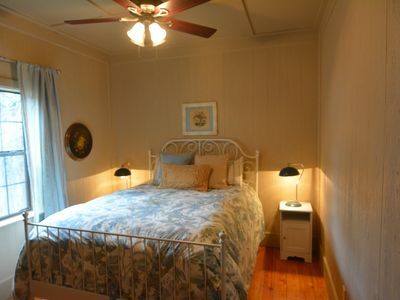 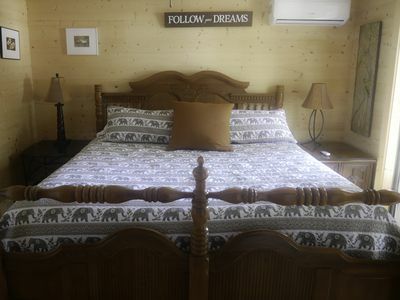 This listing is for a complete studio apartment with a queen bed and two Coleman Comfort Smart Deluxe Cots. 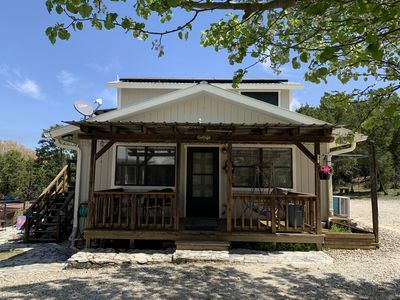 The property features a TV (with Internet and Local Channels), WiFi access, a full kitchen, and a half bathroom (includes shower). 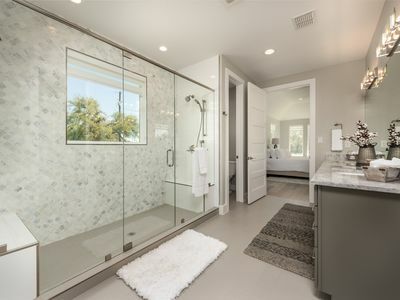 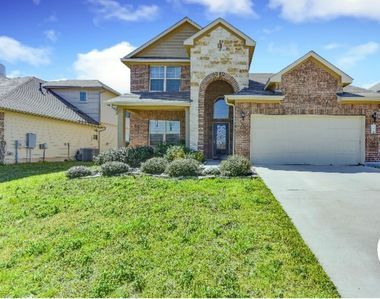 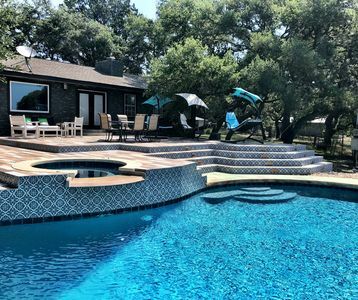 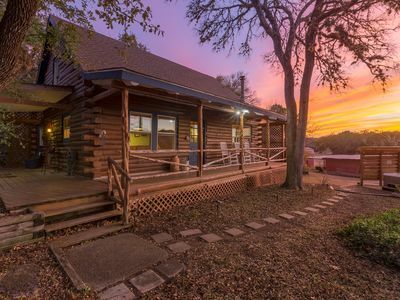 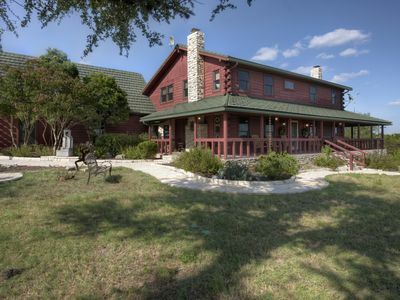 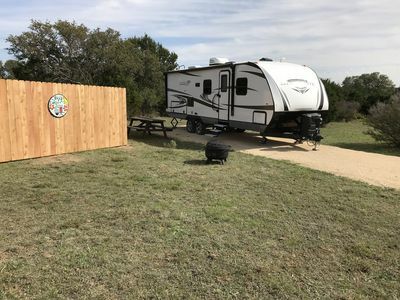 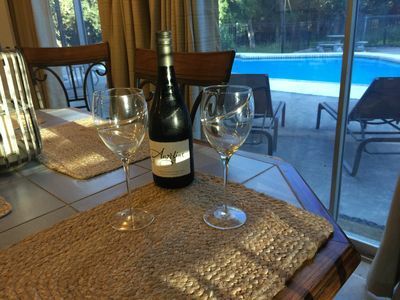 Located in central San Marcos, TX, this property is close to downtown and the Texas State campus, it includes covered parking for travelers and a private entrance. 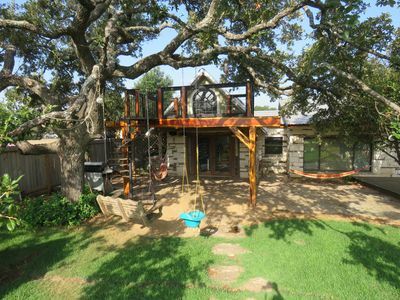 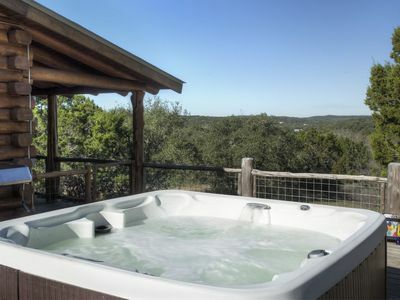 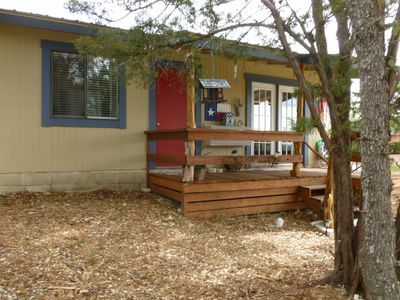 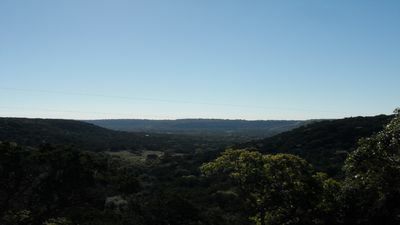 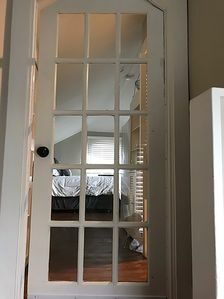 Comfortable Home Near Campus Hill Country Views w two bedrooms. 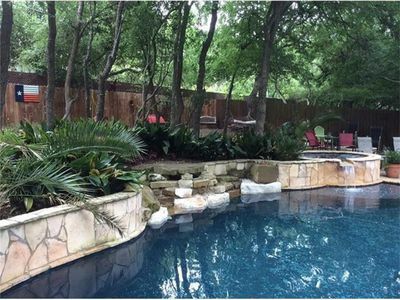 Backyard oasis. 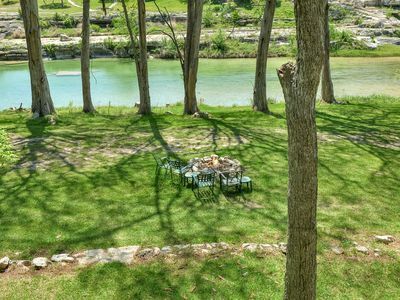 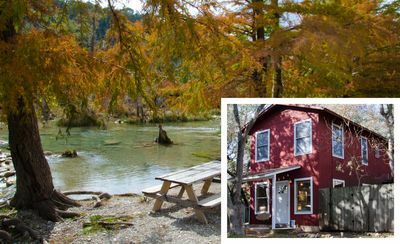 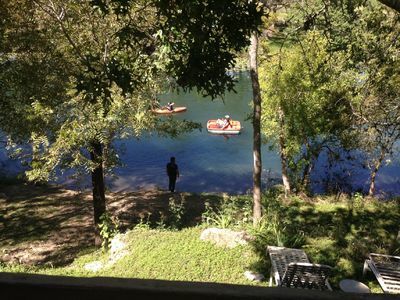 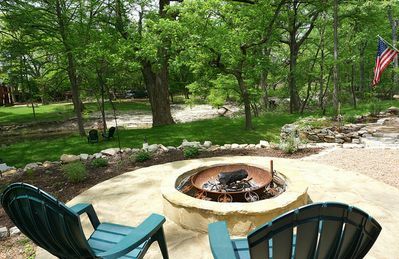 River cabin with stunning river views of the Blanco.